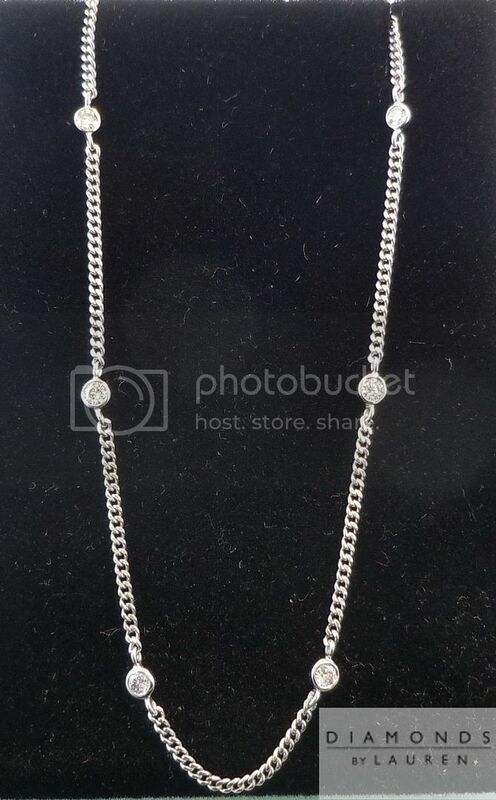 Made with a lovely 18K White Gold Italian Chain, this 16 inch diamonds by the yard necklace is the perfect piece to own. It is a classic piece that can be "dressed up" or "dressed down" for any occasion. The diamonds used in this necklace are well cut and very bright. Each has a beautiful sparkle to it.